Sometimes fear appears in moments when the unexpected happens. Yeah, we would say that now we are adults and therefore have a lot of experience and there's nothing to fear and so on...but the truth is that most of us still have fear hidden in some nooks inside ourselves. So, that is. 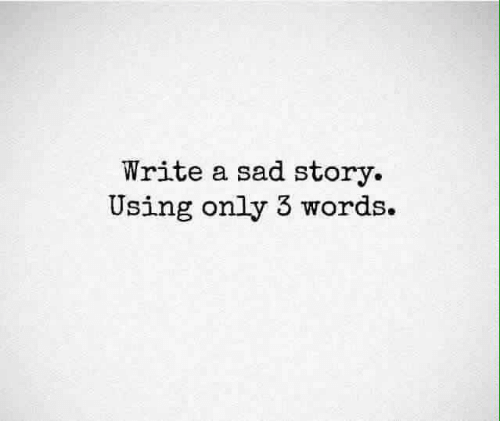 Write a sad or shocking story in 3 words. This night, after staying up late as usually chatting in EC chat room, I finally hit the hay and almost immediately fell asleep, but I was not inundated with the usual night time visions, the phantasmagory that followed was way different, it was the most weird dream I ever had. The most clever love letter ever made! Love stories are always nice to share (if they have a happy ending, ofc) This is a very ingenious real story of a love letter written in the 1850’s. Rudyard Kipling, Just So Stories: HOW THE CAMEL GOT HIS HUMP? This month's writing challenge is inspired by all of the great photos that members uploaded for the Photo Contest. For challenge #20 we are going to use the photo entries to inspire short stories! For those of you who are not members of my group: What is my "Pay if Forward" Program? "Pay if forward" or PIF is a movement or an idea which is based on the concept of giving. It is like karma. If you give, you will receive.